Thin enough to curl hair. 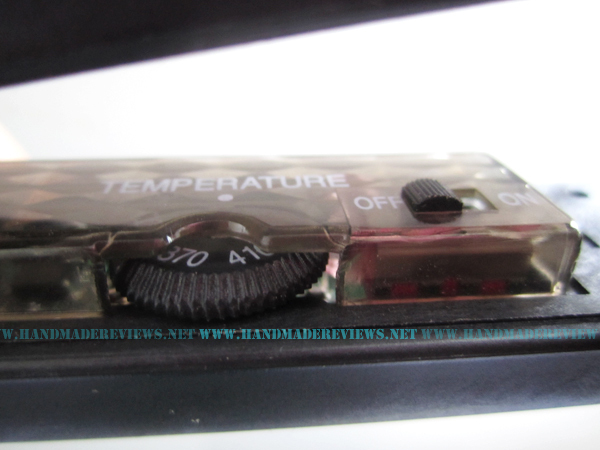 Temperature setting can go from 140 to 410 °F. This 1″ flat iron heats up quickly (within seconds) and straightens my hair well, taming any frizz or flyaway. The temperature stays consistent and doesn’t overheat like some irons. The plates are ceramic, which makes the heating process less damaging. My hair slides very smoothly through the plates. One thing that bothers me is the little red light that keeps on blinking when it is heating up. It blinks forever when I have the temperature on low, which is how I like to straighten my hair since I have thin hair. I’m not sure they’re all supposed to be like that though. 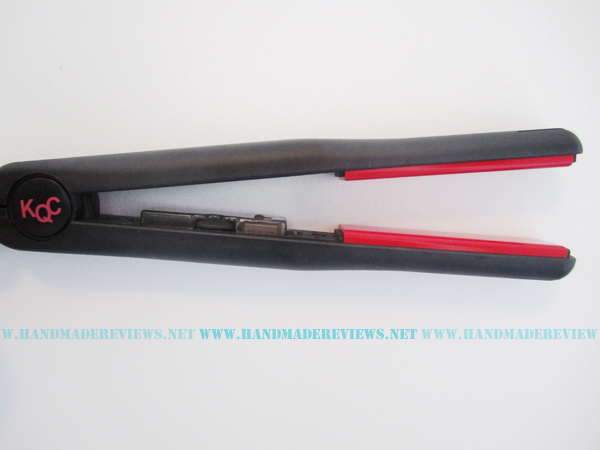 This flat iron is slim and can be used to straighten or curl hair. It’s compact size makes it handy for traveling or for the dorm rooms. Overall, it a good straightener for its value. You can buy this or similar flat irons at Flat Iron Experts for about $100 less than in salons. KQC Thermal Shine Spray works as described, but I find the smell to be too much. It is not an offensive scent, but it can be overpowering. I love the polish and shine it leaves in my hair, but it makes my hair flat and even less voluminous. I recommend it for people with dull, thick hair. If you have flat or oily hair, go for a regular heat protectant so it doesn’t weigh your hair down. Disclaimer: This post contains product(s) sent to me for testing or reviewing consideration. I am neither paid nor compensated for my opinion. As always, my priority is to my readers and I express only my honest opinion in every post. I love the KQC thermal shine spray. The best heat protectant I've tried in a really long time. Does not weigh down the hair and make it wet or greasy at all. My mom bought it for me. Its performance is outstanding. 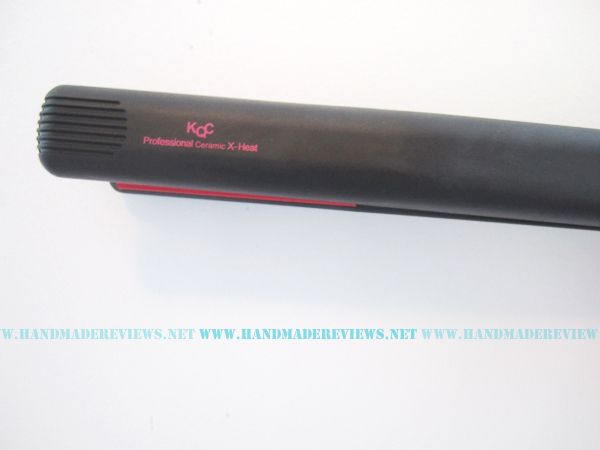 KQC Professional Ceramic Styling Iron with X-Heat Review is a beautiful topic beauty hair review debate for Apr 2019. I read Simple, Easy Hairstyles for Fall .